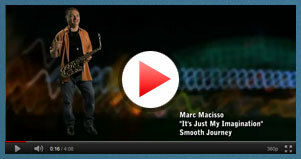 Watch videos featuring some of Marc Macisso’s smoothest and jazziest songs from his hit albums. 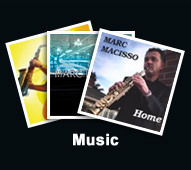 Take a moment to sit back, relax and enjoy a smooth and inspirational journey through the melodies presented by Marc. Imagine yourself at Marc Macisso's next performance. Not sure where to find him? Click to see a list of Marc's upcoming performances. 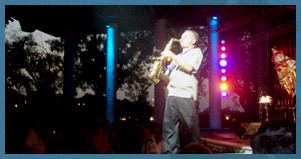 Jazzy, R&B, and Bluesy melodies soulfully played on sax, flute and harmonica. Instrumental and vocal jazz with a blues/R&B influence. This album features Peter White on guitar. 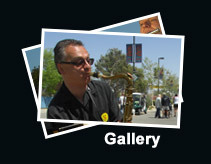 Smooth vocal and instrumental jazz with r&b and blues influences. Classic Christmas favorites done in a melodic jazzy style on Sax, Flute Harmonica and Vocals. This Christmas album is presented in a Smooth instrumental and vocal Jazz sound with R&B and Blues influences.